Malaysia is one of those Asian countries which are high on every tourist’s list to go. Be it for the culture ,architecture, food , nightlife or the exuberant beaches. Malaysia is one such place that one needs to visit to just sit back and enjoy. But once you land there you will face a huge confusion the country though small has countless beaches so, one often gets confused as to which one to hit but we have a solution to that problem of yours we have narrowed down 5 such beaches that you have to go once in the country as they are the best. This beach is perfect for all the couples out there. This is a sand bank island. To reach this beach you will either have to take a one hour boat ride from Semporna ins east coast or a 10 minute boat ride from Mabul island. As this is a standalone beach you and your better half get to have complete privacy. This beach is perfect for couples honeymooning or just looking to have some private time. If you are travelling with a group of buddies or if you are just looking to have some plain fun then this is the place to be. It has been one of the most lively beaches in the country for almost over 3 decades now. You will see ample number of foreigners getting their tan. Its good for sport activities like jet skiing, parasailing etc. Avoid going during monsoon that is from Mid-October to January. From february onwards the season picks up. If you are beauty lover then hitting this beach is a must. From clear blue skies to crystal clear water this beach is the epitome of perfect. There is very less crowd as the beach has a 4 star resort on one side and a backpacker’s hostel on the other. To get here you will have to take boat from Mersing Town and will take you about 45 minutes to an hour to reach. One of the most iconic Taiwanese movie was shot here years ago that alone brings out a lot of excited tourists here. It is a white sand beach with clear water and the beach is extremely neat. 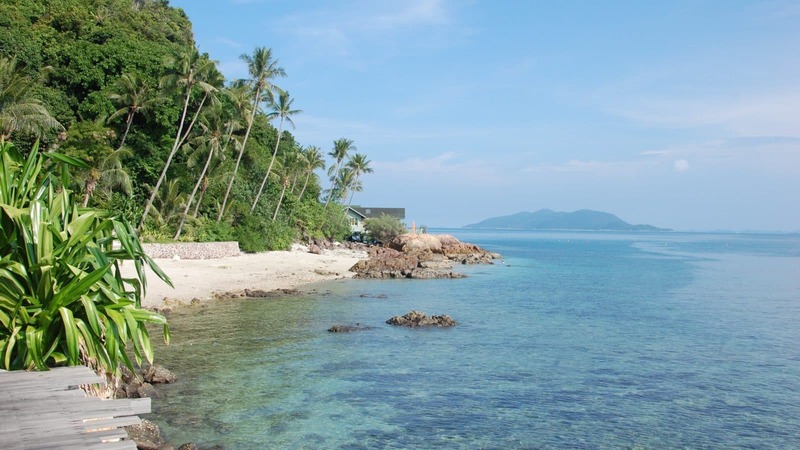 This beach is the paradise for snorkeling and scuba divers because it has an array of aquatic life. Sapi island is a family friendly beach. It is generally not crowded and is one of the most scenic beaches in the country. From the shores you can see mount Kinabalu one of the highest peaks in the south east Asia. Also if you are a beginner then do your scuba diving here because the waters are extremely cooperative.